Greek Parliament ratified the Macedonian NATO accession protocol this evening, wtih 153 votes in favor. It was the same margin with which the socialist Tsipras Government ratified the Prespa treaty, under which Macedonia is supposed to change its name into North Macedonia, while Greece undertakes to stop blocking its EU and NATO accession. The ratification should lead to additional moves on the part of Macedonia, which should now go ahead with actually implementing the name change. Constitutional amendments to rename the country were adopted in the Macedonian Parliament, after more then a dozen of members of Parliament were charged, half of them arrested, and pressured or blackmailed to vote in favor of the new name. Tsipras’ SYRIZA members of Parliament made the bulk of the votes in favor of the protocol in the Greek Parliament, joined by votes who split from smaller parties in a process which the Greek opposition said was rife with corruption and vote buying. The conservative New Democracy voted against the deal, which was negotiated by the two left wing Governments, without input from the right wing opposition parties. During the heated debate which preceded the vote, New Democracy leader Kyriakos Mitsotakis said that the Prespa treaty is damaging to Greek national interests and repeated his threat that he would still block Macedonia’s EU accession, name change or no name change. Mitsotakis is widely expected to form the next Government after the elections scheduled for October. 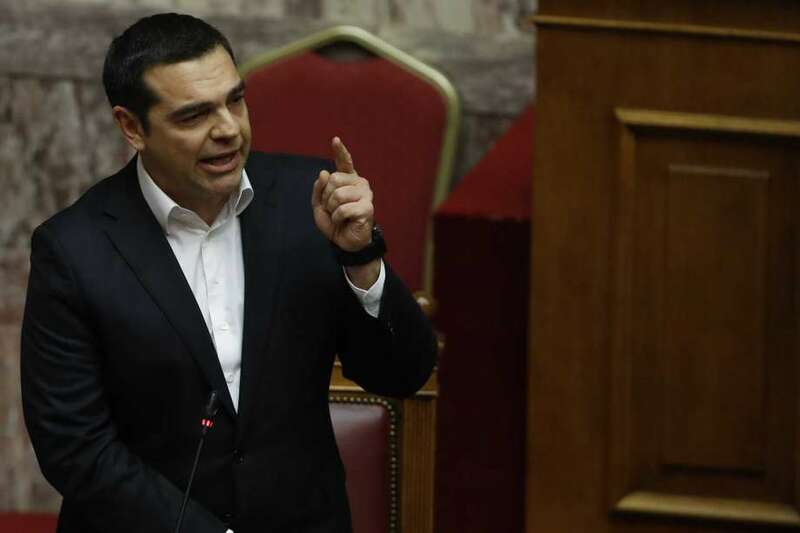 Tsipras said that it will be up to history to judge him for what he did, and called the ratification a “patriotic duty”. He also rejected calls from Mitsotakis to accept early elections so that Greek voters would have a chance to say what they think about the name deal. Greece did not hold a referendum on the Prespa treaty, while Macedonian voters overwhelmingly boycotted the referendum in September 2018, but the Government decided to change the name of the country despite it.